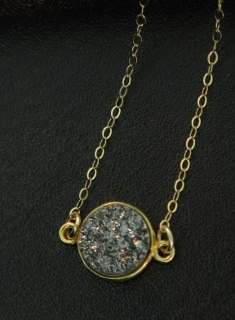 Right on trend! 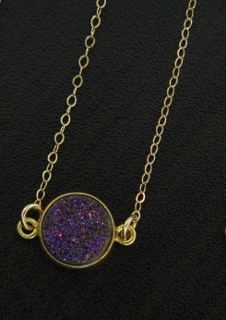 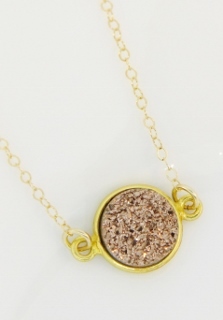 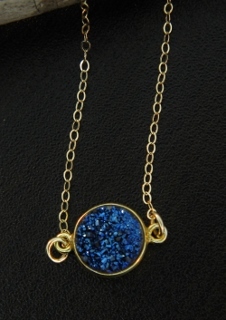 These dazzling druzy necklace are secured in bezel setting in gold over sterling silver and hangs in a dainty 16 inches of 14k gold-filled necklace with spring clasp. 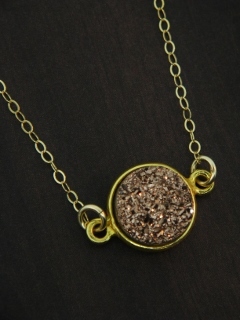 The druzy is in shimmering copper color, perfect for layering or wear it by itself.